Next Saturday, September 10, from 5 - 7 p.m. Shinn Estate Vineyards and North Fork People of Conscience are hosting Wine Against the War, an evening of wine, hor d'oeuves, jazz and community. 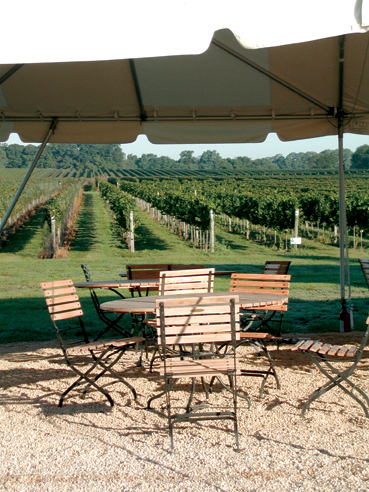 Shinn Estate Vineyards is located at 200 Oregon Road in Mattituck, NY. Tickets are $50 and support the Honor the Fallen memorial. 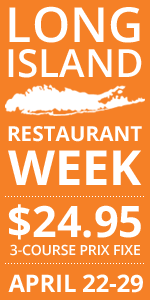 Call 631-765-4612 or email nfpofc@optonline.net for reservations. 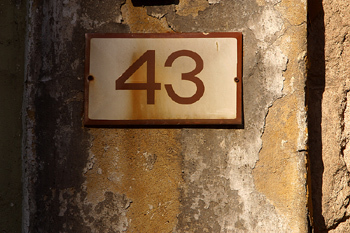 Pittsblog. A blog that will help me keep track of the goings on in my hometown of Pittsburgh, PA. Hot Sauce Blog. I can't believe I never stumbled upon this one before. A Writer's Diary. Reading about other aspiring writers can be a real inspiration. Heels, Sox & Steelers. An interesting trio of fan loyalty. I'm only down with the Steelers 1/3. Gadling. An interesting travel blog that focuses on "engaged traveling." Sorry for the lack of posting this week. I've been swamped at the office and doing my best not to be at the computer when I get home. But, I wanted to highlight the wonderfully flavored, tender and juicy bird my lovely wife roasted Sunday evening. 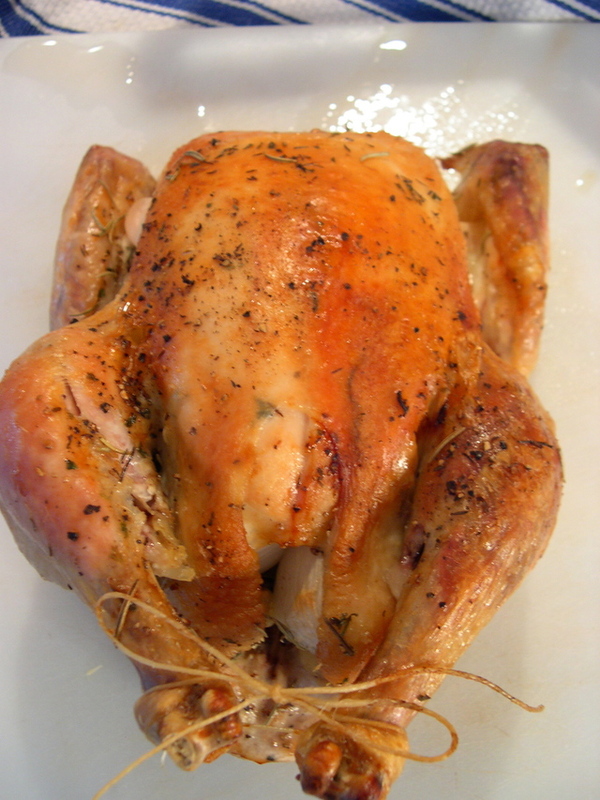 It was our first "organic, free-range" bird...and the flavor difference was truly amazing. Of course, Nena can make even a "sweatshop" bird taste good. But this was a particularly succulent fowl. Hopefully I'll dig out from under this pile of work...and get back to the fun stuff. 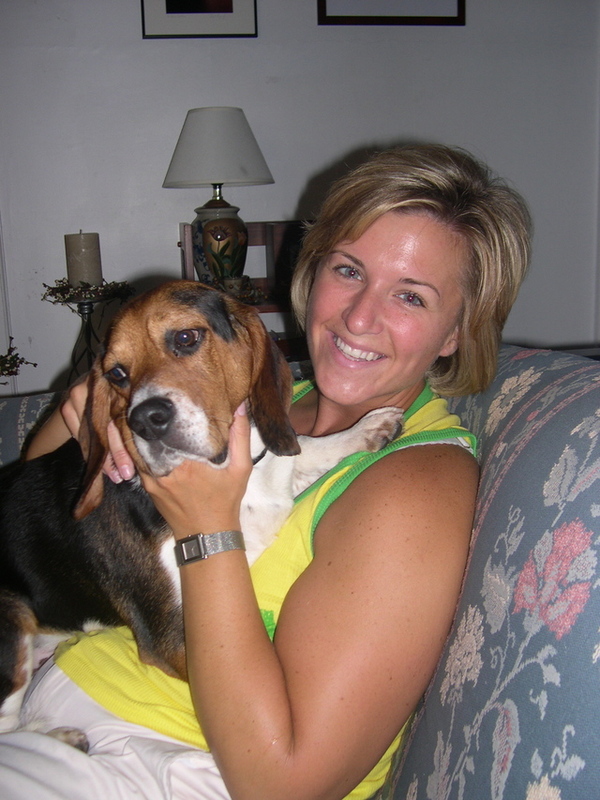 Tonight after work, I'm stopping at home for a glass of vino with Nena before heading to nearby Port Jefferson for the Greek Orthodox Church of the Assumption's Greekfest 2005. I went to my first Greekfest four years ago...in fact, it was the first time I ever met Liz and John (a now-married couple who served as co-best man and co-matron of honor at our wedding. There's Greek music, Greek dancing, craft vendors, carnival rides and (most importantly) homemade Greek food and pastries. Me...I'm a gyro fan from way back. But, as I peruse the online menu there are few other things that may tickle my tongue's fancy. If memory serves, the wine they serve isn't Greek...or particularly good. 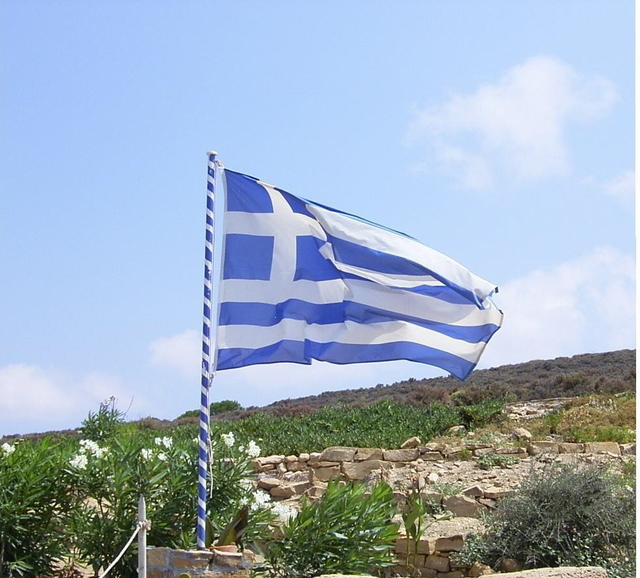 So, beer will probably be the beverage of choice--unless I can get my hands on some ouzo. 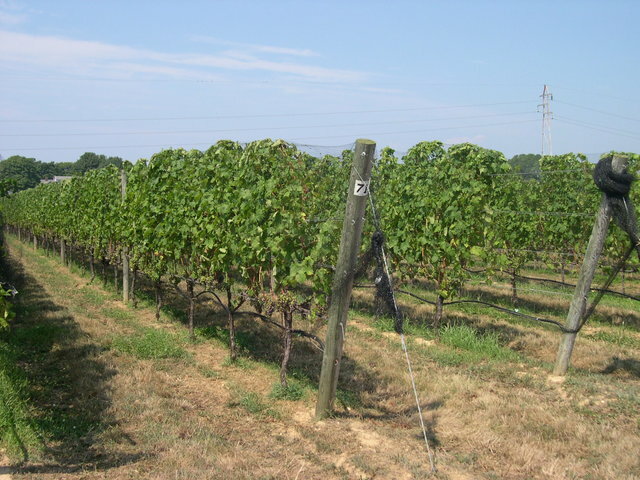 Baldwin Vineyards, located in Pine Bush, NY, in the beautiful Hudson Valley region, is a small producer that makes wines from vinifera, hybrid and native grape varieties. 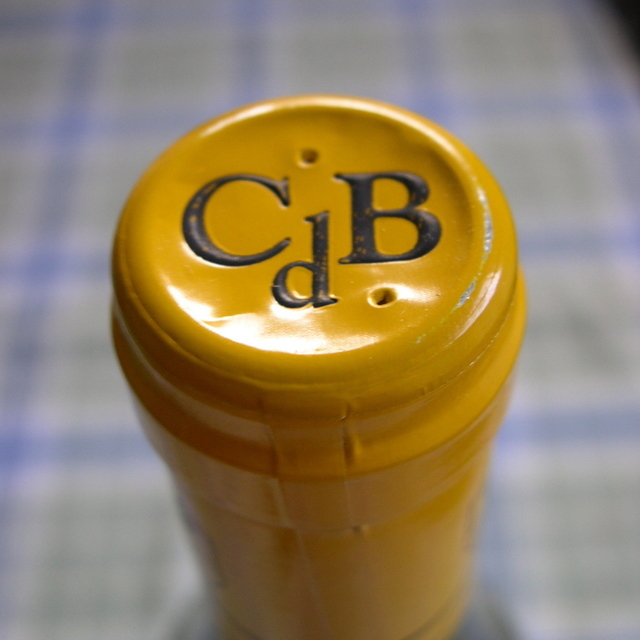 But, it's the fruit wines that owners and winemakers Pat and Jack Baldwin are most proud of. Random House Webster’s Dictionary defines balance as “a state of equilibrium or equipoise; equal distribution of weight, amount, etc.” To wine lovers, the concept of balance isn’t all that much different. A wine is said to be balanced when all of its individual components — alcohol level, acidity, tannins (in red wine), flavors and sugars (if present) — are in perfect harmony and none overwhelms the others. 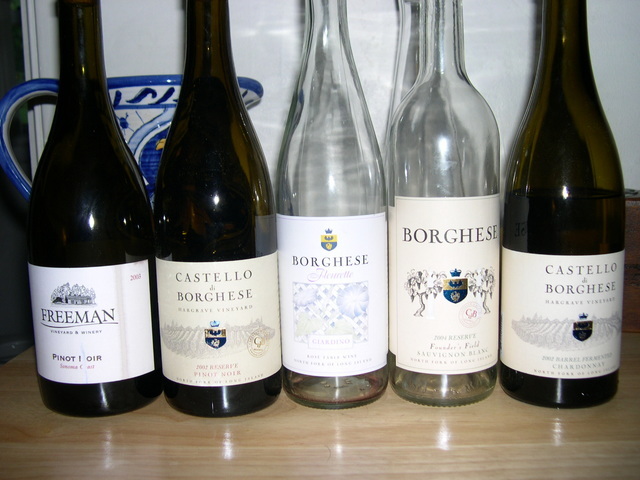 At Castello di Borghese Vineyard and Winery in Cutchogue, winemaker Stan Schumacher is crafting just these types of wines — clean wines with class and poise. I recently sipped some of his latest releases and came away impressed. In general, they are so well balanced that he may have been a world-class gymnast in a past life. Last Sunday, something important and exciting happened in the lives of the LENNDEVOURS family. I wish I could tell you that we bought a house (sometime in the next year I hope) or that some generous Long Island bazillionaire decided to thank me for bringing Long Island wines into his life by buying me a small, five-acre vineyard filled with mature cabernet franc vines. 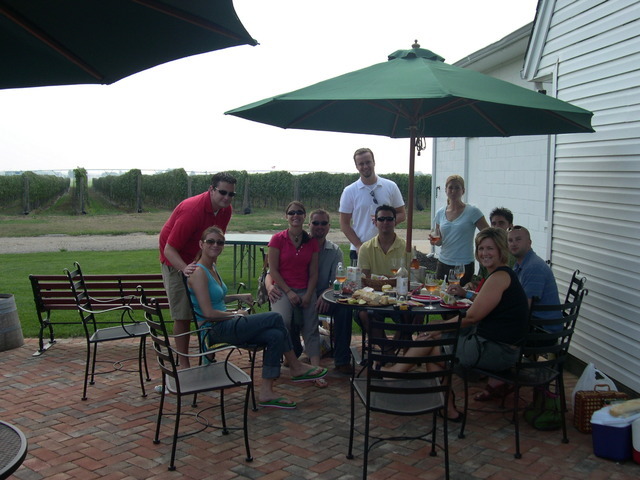 But no, the exciting news is slightly less exciting than that -- we finally took a group of friends out to wine country to visit three of our favorite wineries on Route 48, the northern-most wine trail on Long Island. It's probably surprising that we haven't done this before, but few of our local friends drink (and appreciate) wine. And those that do are married to those that don't...so it just hasn't happened. That's right folks...they're growing grapes in Queens. I'm going to have to investigate this project more, but if Steve Mudd of Mudd Vineyards on the East End is involved, that's instant credibility -- in my eyes anyway. 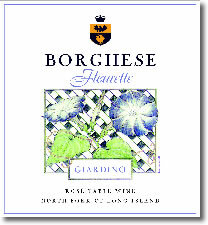 He's a highly respected grape grower in Long Island wine country. This is a story that bears watching. It seems like I've been drinking a lot of rose lately. I guess it's a combination of swelteringly hot temperatures and the fact that several local wineries are releasing new ones. Regardless, I don't mind much. I like a quality rose every now and then. 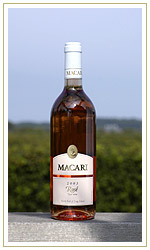 Macari Vineyards makes some of our favorite summer sippers, including their Early Wine and previous vintages of rose. This year's vintage is made with 55% cabernet sauvignon, 30% merlot, 15% cabernet franc, but previous vintages have included a little malbec and petit verdot as well. Tongue: Refreshing and expertly balanced, it offers cherry, pomegranate and watermelon flavors accented by just the right amount of body and acidity. It's crisp but not bracing and a bit more complex than your average rose. Howard Goldberg from the NYT recently touted this rose as the "tastiest East End rose" he's tasted all summer. I rarely want to pick a single wine as the "best" but I'm inclined to agree this time. Overall Comments: Obviously we both really enjoyed this one. We actually sipped this along with some sausage and goat cheese stuffed portobella mushrooms, but I think this wine is a rare rose (for me anyway) that while great with food, is also interesting enough to drink on it's own in the summer. Another light tasting table from last week. But that's about to change this week...lots to catch up on. Pindar Vineyards, one of New York’s most popular and widely-distributed wineries (they have great marketing), is known in some circles for its cheap, sweetish blended wines and its always-packed tasting room. But don’t be fooled. If you drink through the varied bottlings, there are a few gems to be tasted. Personally, I’ve long been a fan of the 1999 Rare Cuvee Champagne ($28), despite the use of the term Champagne outside that region of France, and the consistently good Johannisberg Reisling ($15). Before recently, I thought these to be the only real gems buried in the impressively long tasting menu. Winemaker Jason Damianos, son of Pindar founder/owner Herodotus “Dan” Damianos, is making some reds that may prove even better. 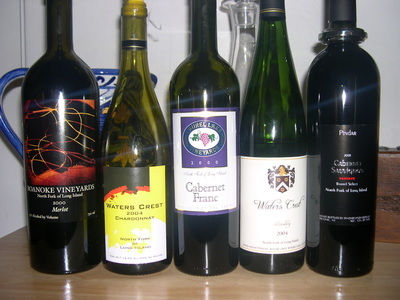 The 2001 Merlot ($15) was my least favorite of the three I tasted recently. Its nose was slightly sweet with plum, prune and black cherry aromas with sugary oak accents. Fruity and rather low in tannins, it offers more plum and some blueberry flavors, but its oak character is a bit raw for my taste. Even still, I’d serve it with charcoal-grilled burgers. Damianos’ reserve wines are where his talents really shine through. The Pindar 2000 Merlot Reserve ($19) is darker and denser in the glass – crimson and nearly opaque. The first sniff is dominated by toasty oak, but subsequent ones filled my nose with vanilla, raspberries and plums. On the palate, softly gripping, dusty tannins frame an elegant but robust wine with fruit flavors balanced by hints of cigar box. It’s delicious right now, but give this another couple of years and watch it get even more complex. For the extra four dollars, definitely buy the reserve. 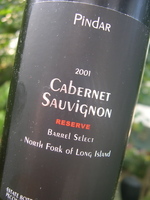 The Pindar 2001 Cabernet Sauvignon Reserve ($19), while not quite as good as the 2000 Merlot Reserve, was a slightly earthy surprise with blueberry and currant fruitiness backed by wet soil and faint oakiness on the nose. Each sip is very Bordeaux-esque, with nicely balance cherry-blueberry fruit, oak, earthiness and savory spice. Noticeable, but not overpowering, tannins really round it out. 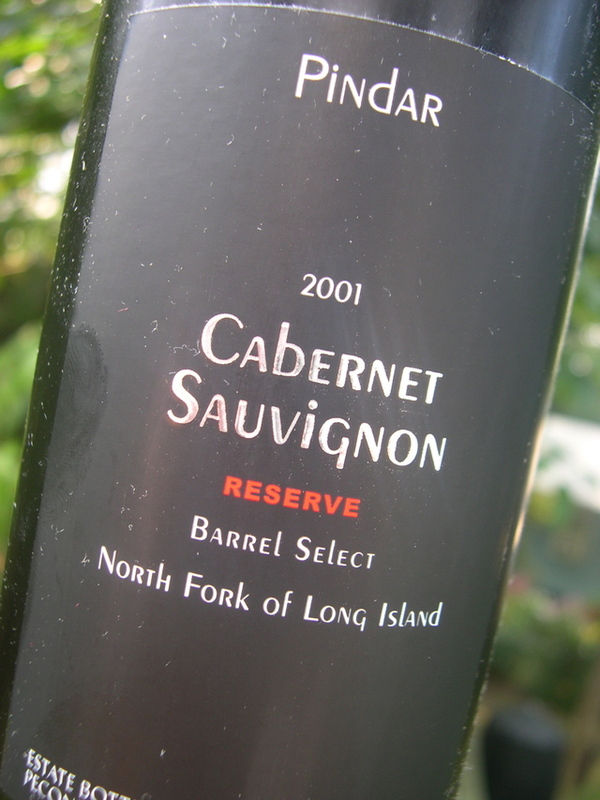 Many Long Island cabernets end up tasting under-ripe, but this is not one of them. 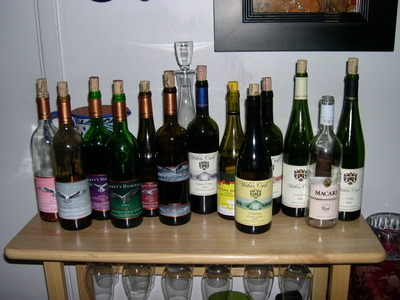 Visit Pindar in Peconic, NY or visit www.pindarwine.com for more information. Earlier this week, Nena made our delicious bean burgers again I was in a bit of a wine-pairing quandary. The stong flavors of cumin, cilantro and chiles eliminated subtle, nuanced wine from the equation...but I just didn't think any of the gewurtz we have would work well with the corn and beans. And, because zinfandel doesn't do well here on Long Island, (and I haven't bought any in a while) that wasn't an option either. So, I went to the 'cellar' and grabbed a bottle of non-vintage (but recently released) Fleurette from Castello di Borghese. I knew that it was made with pinot noir and pinot blanc, and that they billed it as "mildly dry." I figured it was worth a shot. Overall: Great with the bean burgers. The subtle sweetness cut through the spiciness while the acidity cut through the richness of the beans themselves. A simple slurper...I'm not sure I'd enjoy it on it's own on a hot day, but it was a surprisingly good match with dinner. The white zinfandel set would probably even like it. Just a couple pictures of our little guy. He's doing very very well...and he's getting the hang of inside vs. outside. 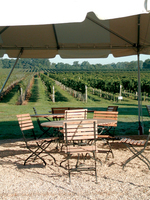 Next Friday and Saturday, the Hamptons Wine & Food Festival will take place in Bridgehampton, NY. It will feature both local and internationally famous chefs and winemakers who will entertain attendees with live cooking demonstrations, cookbook signings, wine and food tasting seminars, a spectacular Grand Tasting each night and a large showcase of gourmet food sampling provided for your enjoyment. Other special events held during the weekend include an exclusive VIP caviar and cocktail party at a oceanfront estate on Friday night and a festive, multi-bar Mojito BBQ after-party at the main event venue on Saturday night. The festival will also "celebrate the rich agricultural heritage of the Hamptons region by spotlighting a selection of multi-generational farms along with the first winery that began harvesting its grapes over 30 years ago, paving the way for a local wine industry to rise and flourish." Cost for each of the four event segments is $150 per person. Get more information on tickets. I'm going on Saturday for the day sessions and probably the grand tasting. I need to look at the schedule and figure out what classes/sessions I want to check out. For September's vintage of Wine Blogging Wednesday, our host, the multi-talented, food blogging superstar Clotilde of Chocolate & Zucchini, is asking us to do something we've yet to do for WBW -- do a food and wine pairing on September 7th. 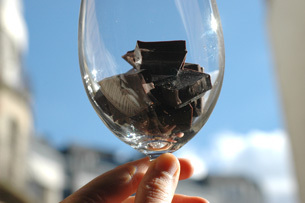 But, Clotilde isn't asking us to pair wine with simple roast chicken or even seared scallops or goat cheese -- oh no.. She's chosen chocolate cake as our pairing partner, even providing us with a recipe. So get those pairing ideas flowing and get ready to bake or buy your cake. This promises to be a fun, and highly educational, edition of WBW. I love Wine Blogging Wednesday, the virtual wine tasting event that brings people from around the globe 'together' for a day of wine tasting. I love the people I meet and new friends I make each and every month. I love learning about wine regions I'll most likely never visit. And, I love bringing new wine lovers into the fold and showing them that wine need not be scary. This month, our little tasting group swelled to an all-time high of 43 entries as we filled our glasses with the most local wines possible. Rather than break the roundup into regions or varietals or anything of that sort, I'm going to just list them as I received them. That way, you'll get to enjoy the posts the way I did...traveling from region to region and getting a little taste of each. 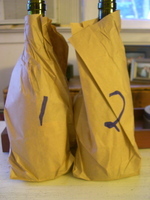 Last night I decided to take a break from compiling over 40 entries for Wine Blogging Wednesday and do a quick blind tasting of two pinot noirs...one from Long Island and the other from the Russian River Valley. Going in, I knew they'd most likely be quite different...most any Long Island winemaker who tries to make California-style wines is doomed to fail. Grapes simply don't ripen the same here and those who try to make warm-climate wines here usually end up with flabby, lifeless plonk. Yes, I know that not every California wine is made in the "California style" but stick with me here. 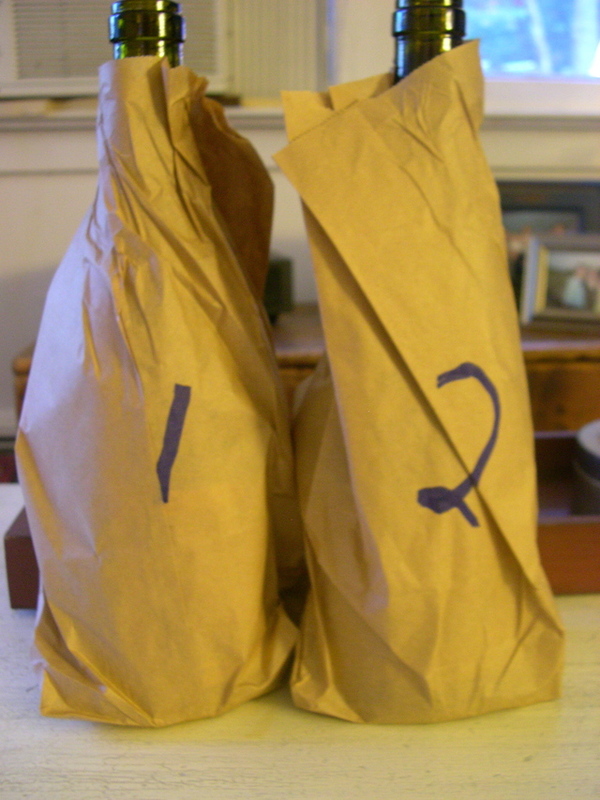 So, I grabbed these bottles from the 'cellar,' popped the corks, removed the foils, slapped paper bags on them, closed my eyes and moved them around...then wrote numbers on them. You need to close your eyes at some point if it's blind, right? Regardless of process, I didn't have any way of knowing which was which...a situation aided by the fact that the same bottle shape/color was used for each. As you can see, it was a slow week at the LENNDEVOURS tasting table last week. 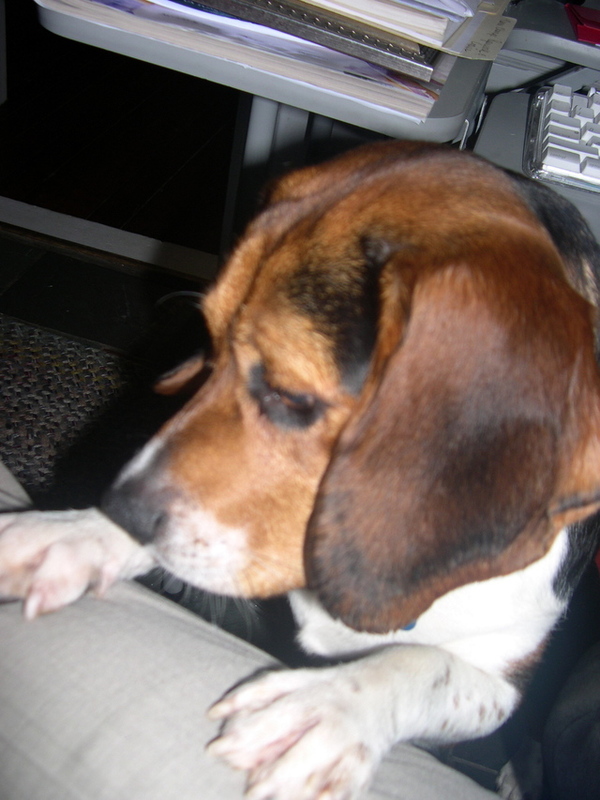 A bad cold and being busy with our puppy cut into the tasting. But fear not, I'll catch up. 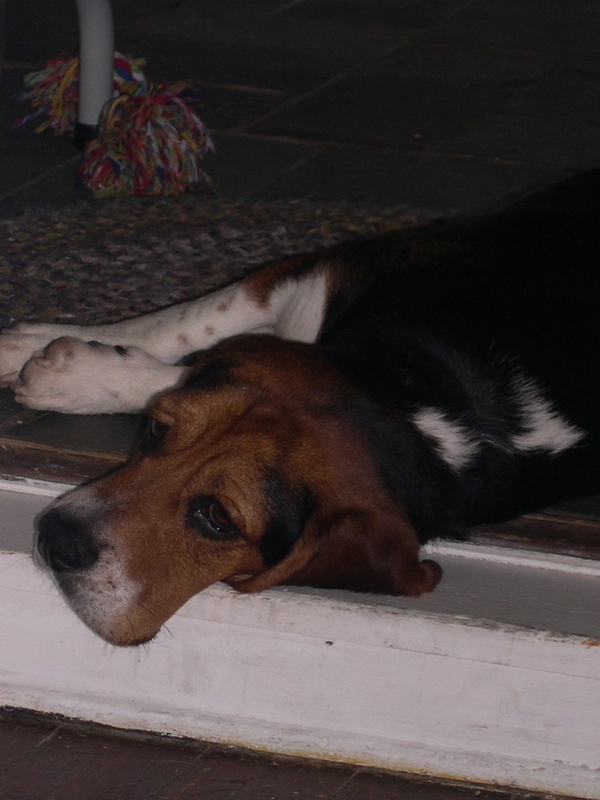 ...our beagle, Ben, and his current state of un-housebrokeness. This picture, a happy time in the LENNDEVOURS household, was likely followed somehwat closely by a mad dash for the door as we try to teach the little guy that he's supposed to do more outside than just walk around and follow his highly active hound nose. So that's why the roundup isn't finished yet for WBW #12. Of course, three or four of you have emailed me in the last 24 hours with entries...so I don't feel nearly as guilty as I would have. So here's to WBW (and a roundup tonight or tomorrow morning) and to our little guy learning the rules. Long before I moved to Long Island and discovered an unwavering passion for all things wine, I was a beer-drinking fraternity boy, but not exactly like the rest of my brothers. 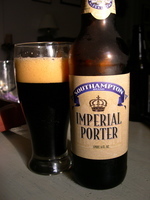 While they were swilling the cheapest, coldest beer they could find in cans, I was the guy who would buy a different kind of beer almost every weekend, including any import or microbrew I could get my hands on in my college town in rural northwestern Pennsylvania. Back then, if I did drink wine, it was likely a cheap, flabby Chardonnay, most often from Australia, with enough sweetness to please my then-unrefined palate. Of course we also drank our share of Mad Dog and Thunderbird, too. We were kids, and we didn’t know any better. I still drink beer regularly – at ball parks, after my weekly softball games or at parties when the wine is awful. More often than not, I drink light beer these days to bring some control to my caloric intake. There’s still nothing better on a hot, humid summer day than an ice cold beer that you can chug down in a few minutes. But it’s been a long time since I really thought about the beer I was drinking. So, when given the opportunity to review a few of the many beers and ales produced by the Southampton Publick House. I was admittedly a little nervous. I mean, I can recognize black cherry and earthy character in a fine pinot noir, but did I have the senses (and vocabulary) to review beers? 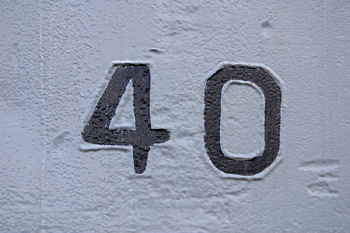 Thus far, 40 bloggers from around the world have sent me links to their posts (via email or trackback) for Wine Blogging Wednesday #12. And, I think a certain resident of Utah still has a wine to tell us about. My goal is to have the roundup done this weekend...stay tuned. Brought to us by "The Messenger"
Alder of Vinography has crafted what I think is one of the most clever pieces I've read in a while over at Gastronomic Meditations. On Saturday, August 20 and Sunday, August 21, from 12:30 p.m. to 3:00 p.m., Bedell Cellars will host a Merlot Reserve Vertical Tasting featuring vintages from 1988 through 2002. It's $50 per person ($40 for wine club members) and includes lunch and a special preview and barrel tasting of the 2004 vintage. Pre-paid reservations are required by August 15th. 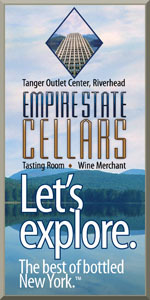 For more information call Bedell Cellars at (631) 734-7537. I attended last summer's version of this event and likely won't be able to make it this year. But, it's a great, fun event and one of the most educational experiences I've had on the East End. Tasting the same varietal through the years, with winemaker Kip Bedell as your guide, is just outstanding.